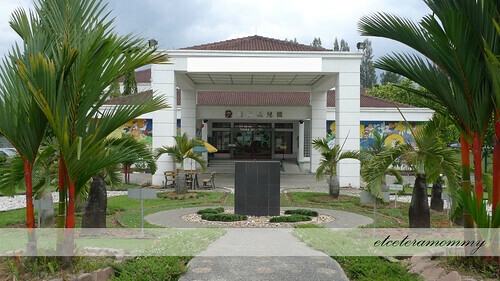 I went to see Dr Jimmy on 21st Jan at 8.30am. I was all prepared for Dr to tell me to admit on the same day so I actually packed along my labour bag to the hospital. MIL was equally anxious that she took a half day and accompanied me to see Dr. Hubby on the other hand was on ever ready standby mode. It turned out, I was only 3cm dilated and had no other labour symptoms. However due to a slightly lower amniotic fluid Dr booked me in for induction the next morning at 6.30am. Afterall, I was only 3 days away from my estimated due date so there was really no reason to delay. That remaining Thursday was uneventful. Spent the whole day playing with Ryan (figured I was going to miss him dearly during my stay in hospital). I checked my labour bag to ensure everythingâ€™s all packed especially my camera and laptop. I called it a night around 1am after watching my TVBÂ series A Chip Off the Old Block. The drama came about an hour later. I woke up having distinctiveÂ pain at the lower abdomen. It was menstrual kind of pain. The attack came at irregular intervals (sometimes 5 mins, sometimes 15mins). Since the pain I felt wasÂ somehow bearable, I wasn’tÂ in a state of bothersome norÂ being too panicked yet. I even tried to go back to sleep as I vaguely remembered the pain I endured during Ryan’s labour was much more intense. Hubby and Ryan were soundly asleep. I continued to lie down on the bed contemplating if I should wake hubby up or wait until the alarm sets off at 5.30am for my scheduled admission. I procrastinated for another hour or so. At 3.30am when I went to the washroom to relieve myself, what greeted me was a bloody show. Â Well, so this is for REAL now. No more dilly dally. No more procrastination. I woke hubby up. The sleepyÂ blur cat thought it was 5.30am and just nodded his head when I told him we need to go hospital now. It was only after I told him I was bleeding he jumped out of bed. He dashed to MIL to break the news and for her to help look after Ryan who was still sweetly asleep. I gave him a goodbye kiss before we left for the hospital. Hubby dropped me off at the main entrance while he went to park his car. Iâ€™ve already done my pre admission so everything was pretty straight forward. 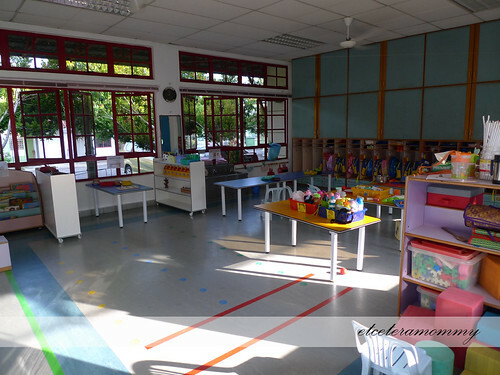 The labour department was eerily quiet with only 3 nurses on duty. 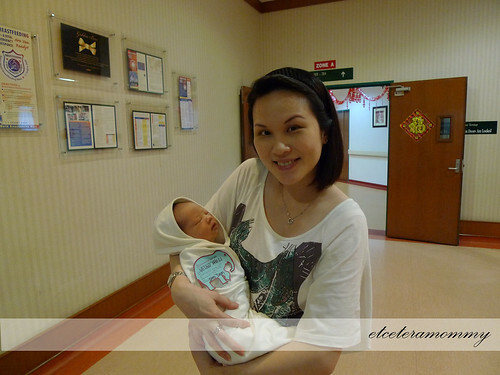 I was guided to labour room 5. 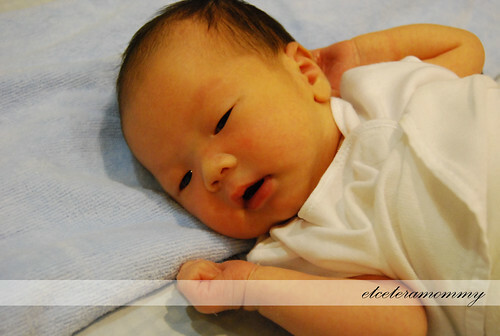 After I got changed into the hospital gown, I lay down on bed looking directly at the clock. It was 5am. The midwife checked and I was 5cm dilated. I quickly told her I wanted epidural but she was hesitant. She tried to convince me I could go through labour without epidural since I could still chit chat with her even at 5cm dilation. She asked me to think about it while she performed the enema procedure. I swear I was almost swayed by her persuasion. I took a glance at hubby for ‘signal’. He gave me the look **don’t ever try to be a ‘hero’**. Immediately I knew what I had to do and so I took his ‘signal’. A short while after the enema procedure, I gave her my final decision. A YES, I need EPIDURAL. Shortly after the epidural was administered, I was all numb from waist down. I didnâ€™t feel the slightest pain. I was in such relief that I actually fell asleep while waiting contractions to intensified. At 7.30am, my obgyn finally made an appearance. I was still 5cm dilated. That was when he suggested I go for induction. I agreed without hesitation. At about 10am or so I was finally 9cm dilated. 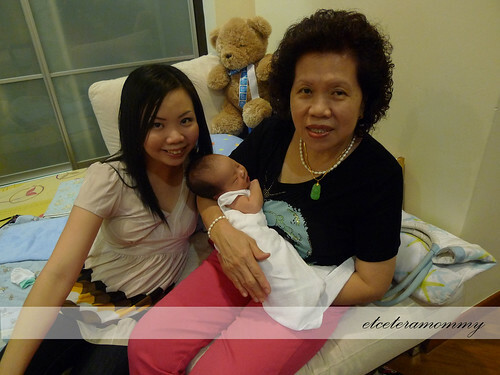 A second midwife (Ms Tan)Â came and taught me how to push. My legs were all numb by now but I could still feel a bit of contractions. The first few tries of pushes went down the drain. I just couldnâ€™t do it correctly. After a few more â€˜lessonsâ€™ from her, I finally did it right. At about 11.10am, I was all ready and the nurse called my obgyn. While waitingÂ for my obgyn, theÂ midwife asked hubby if he wanted to see the babyâ€™s head. When I heard that, a chill went down my spine and I quickly protested.Â Ms Tan took a glance at hubby who actually nodded. *Faint*. The midwife pointed to hubby and saidÂ â€˜There, can see? Can see the babyâ€™s head?â€™ I was surely embarassed *paiseh la*Â but after they were done with the ‘viewing’, my curiousity took over.Â I actually had the cheek to ask hubby ‘Does baby has a lot of hair’? LOL. Obgyn took forever to come. 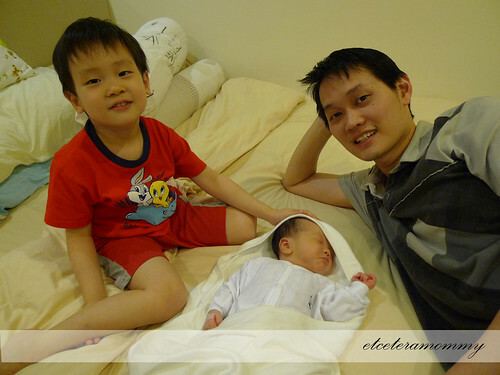 To kill time, the three of us (hubby, Ms Tan and myself)Â tried predicting the baby’s birth time. We were impressed with the effect of epidural. At 10cm dilated, minutes before labour, I could still joke and laugh. Money well spent. Anyway, Dr Jimmy came a short while later and after a few successful pushes, lil Darren came into the world. The midwife put lil Darren on my chest. I couldnâ€™t be happier. With a sense of relief, I shed a bit of happiness tears. 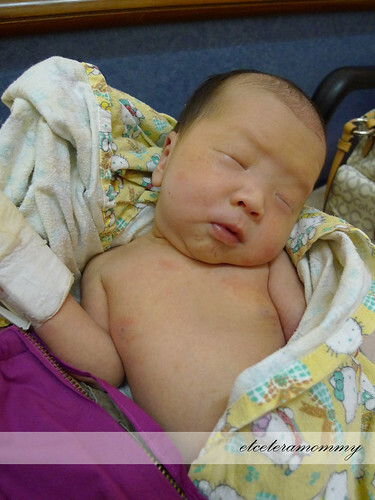 He weighted 3.41kg and 51cm long. Slightly bigger than his kor kor. Welcome to the world Darren (aka my precious lil b). Pic taken just before he wailed for moo moo time. This boy has no patience when it comes to his feeds. 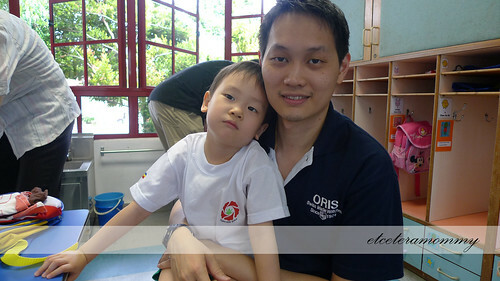 Hubs and I attended Ryan’s school orientation on the 2nd Jan 2010. 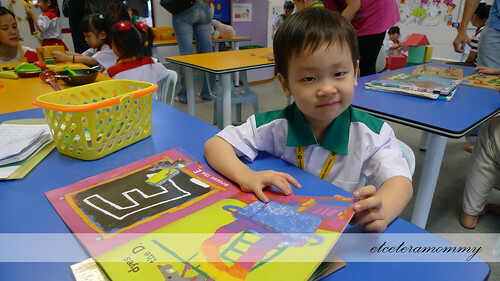 Eventhough Ryan had attended a 10 months of school during our stay in Singapore, we were still worried about how he’ll cope in a new school new environment new teachers and friends. The orientation lasted about 3 hours during which all parents were seated in our respective class during the whole session. The kids were losing patience and it was getting a tiny bit too hot for everyone. Being heavily pregnant, I was sweating from head to toe. We couldn’t be more pleased when the session ended. The first 3 days school hours ended at 10.30am (2 hours), the 4th day onwards the school finishes at 12noon.Â During the first 3 days I never left Ryan’s sight more than 15 minutes. With such arrangement, he had no problem participating in the activities and was evidently enjoying school. On the 4th and 5th day, I began distancing myself. Expectedly he cried. Big sigh. 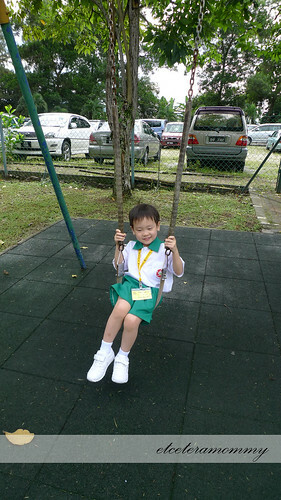 The following week, I left Ryan with the teachers after bidding goodbye. Eventhough I had gone through worse separation anxiety when Ryan started school last year when he was barely 3, this time round it was neither easy. It was heart breaking, very. 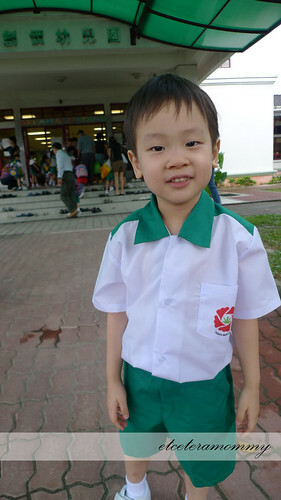 The 3rd week (week 18th Jan), Ryan only attended school for 3 days during which he was all a-okay. To my relief he did not cry. Since I had an appointment with my obgyn on Thursday, Ryan skipped school that day. 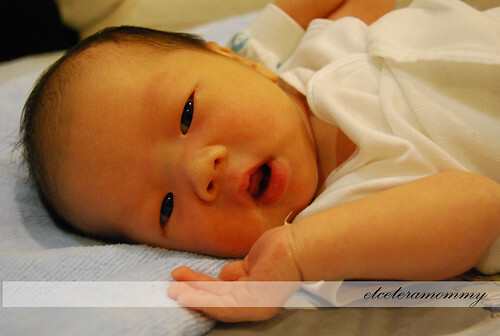 On Friday, mommy gave birth to lil Darren. Therefor he skipped school another day and for the rest of the following week.